Football is one of my favorite sports. There is no doubt about that. Many, many years ago I played the sport. Now I just try and find ways to photograph it. This might have been my most fun year doing that. I was part of an amazing team here at Purdue putting together some great galleries. If you have read this blog for any length of time you know that I don’t like to toot my own horn. 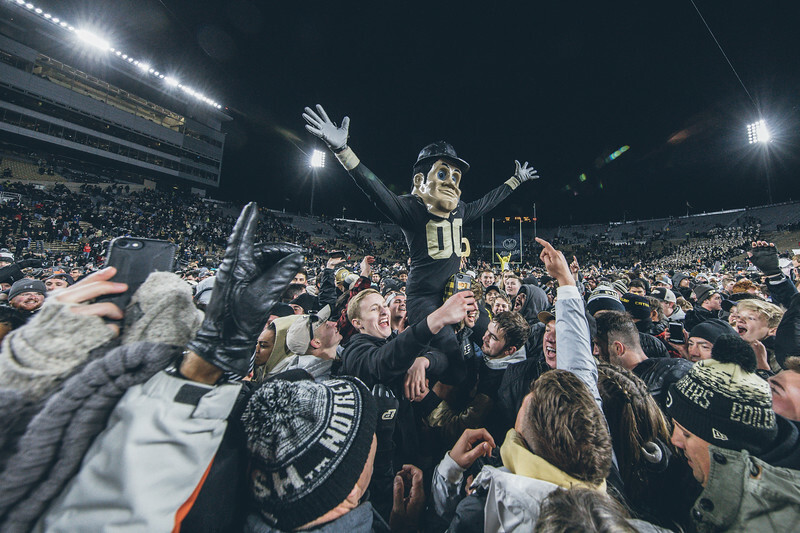 I will tell you though that this Purdue creative team is amazing. I am very honored to be a small part of it. As I said before football is a great sport to photograph. The only problem is that you don’t get many chances to do so. Every year I try and get out to more games than I did the year before. This year my travel time was down so I could catch a couple more games on Friday nights. That is always a good thing. 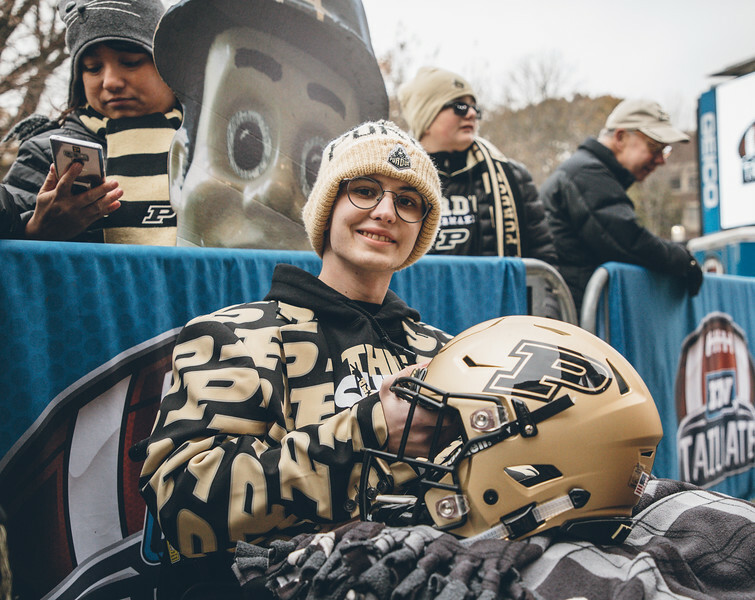 Below are my favorite eighteen photos from the 2018 season. This countdown cannot start until I talk about Tyler. For a little over the past year this young man has been a huge inspiration to me. He has fought his battle with cancer with more grace and power than I think I ever could. To be faced with what he is facing and to still be out there fighting for others is something else. This season I have been lucky enough to see Tyler a few times. This was my favorite of those photos. 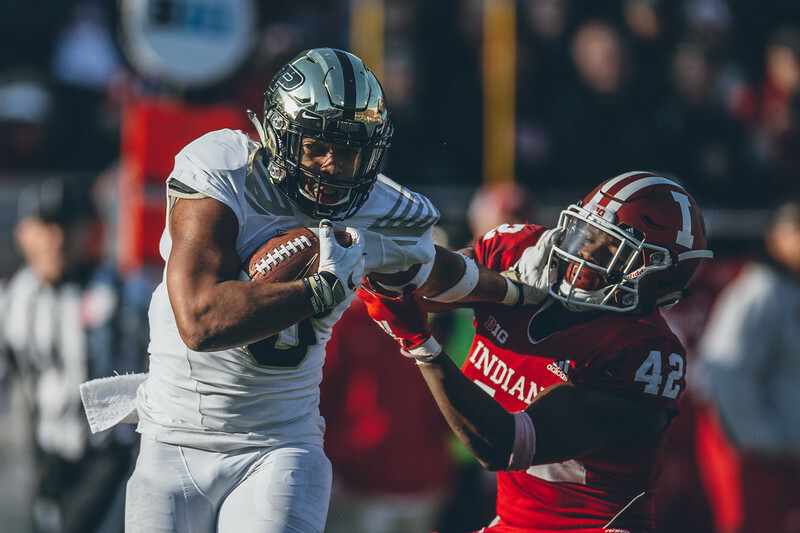 He is the Purdue team captain, and he has been great in that roll this season. 18. Kyle Hazell is another young man who seems to have it together way more than I did at his age. His father is the former coach at Purdue. Whenever a coach becomes a former coach there is always reason for the family to move away. I can’t imagine things were always rosy for Kyle. He stuck it out here in West Lafayette though, and was rewarded with a state title. 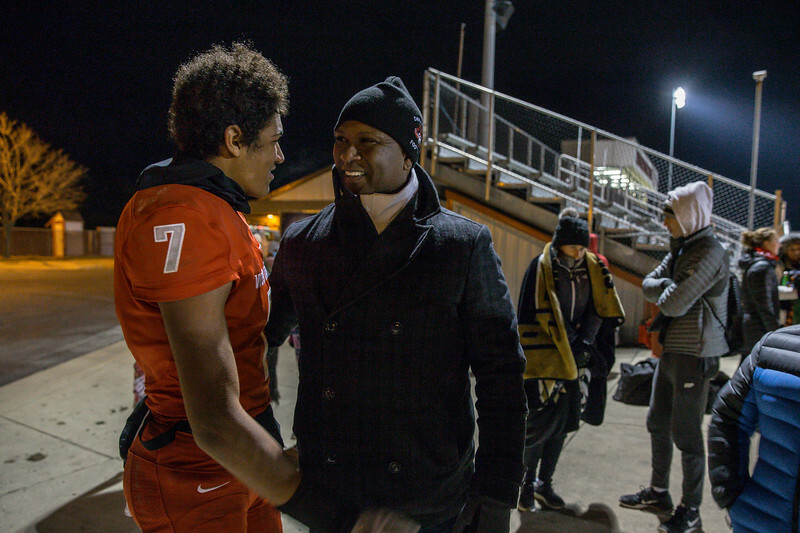 I loved this moment between Kyle and his father after the regional game. 17. 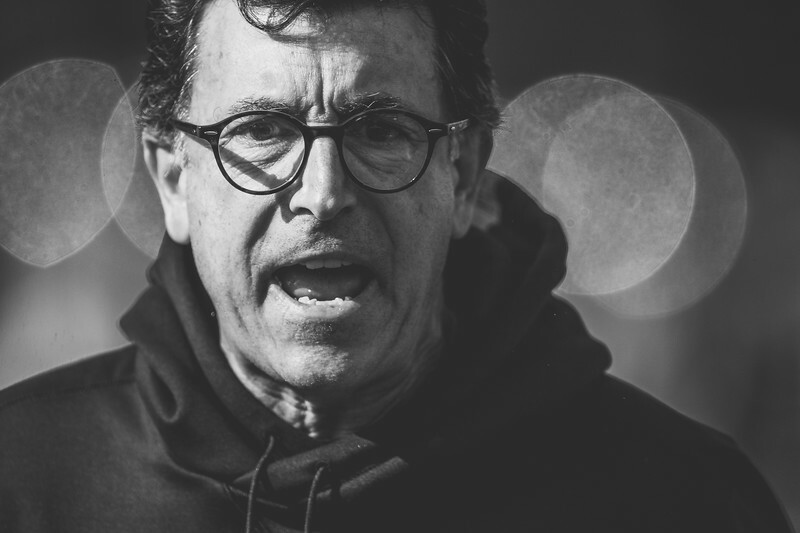 This season I had the goal of getting portraits of all of the coaches during pregame. During the game the coaches are often in a position where it is hard to get a good angle of them. This was my favorite picture of all of those portraits this season. A lot worked in my favor to make something interesting here. 16. 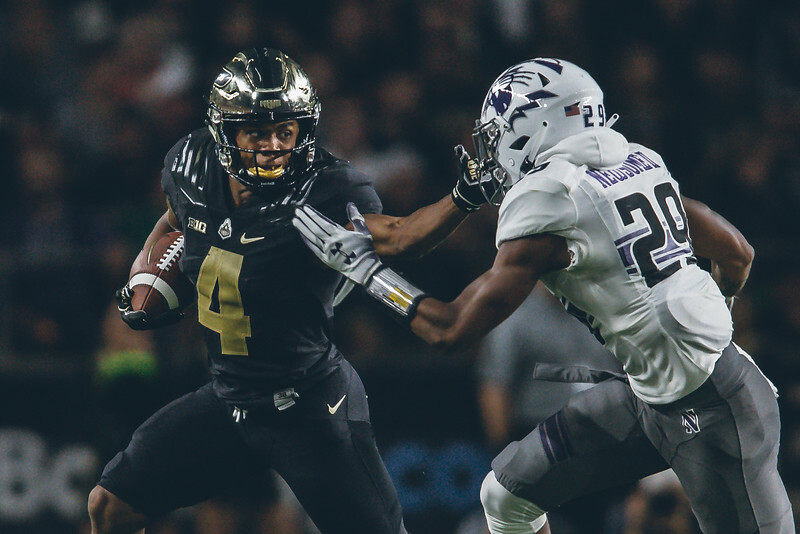 Rondale Moore was a pleasant surprise this season. Maybe that is underselling just how much of a surprise he was to me. I don’t follow recruiting very much. I see a little here and there, but I had no idea what I was in for with Moore. He came in from the first game and established himself as the man on the team. Even when teams adjusted and had half the defense cheating to him he still produced. As you can see in this photo he was in a class by himself on the field. 15. Twenty-five years ago I played my last football game. 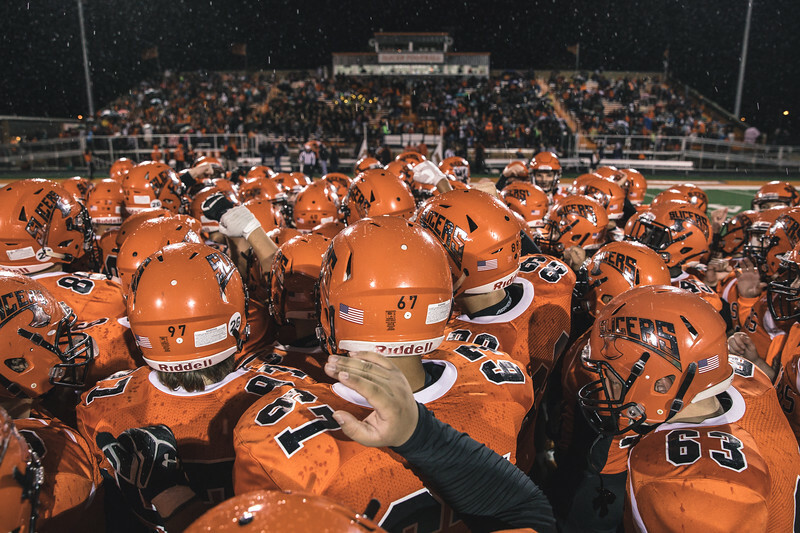 It was for the LaPorte Slicers, and this year I wanted to get back to at least one home game. A lot has changed for the Slicers in twenty-five years. They actually have fielded some good football teams in that time. This was my favorite photo from that homecoming game. 14. October 20th was a special day for me. 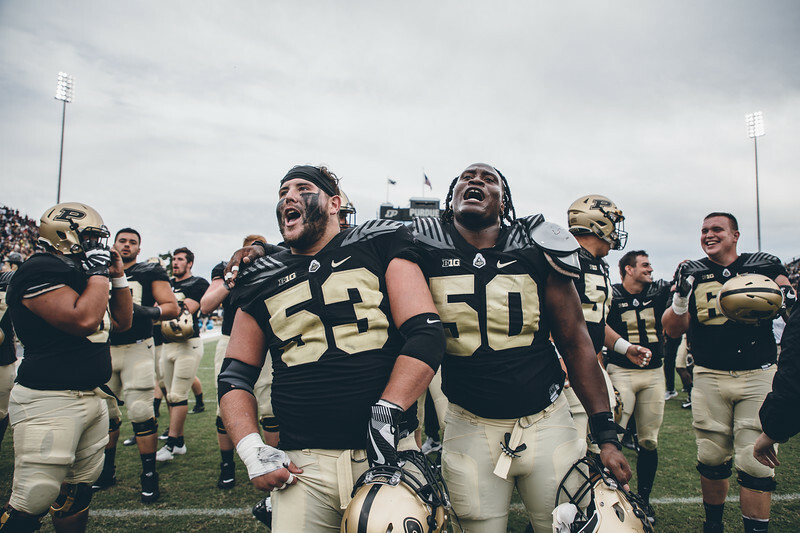 Heck it was a special day for all of Boiler football. As it turns out this day was also the day that kept Ohio State out of the BCS Playoff. This was the moment from that game for me. As senior D.J. Knox ran towards me I knew that the game was in the bag. I somehow managed to get a few pictures of that moment, but I don’t know how. I was not cheering on the outside, but I was screaming on the inside as Knox ran towards me. 13. The Boston College game was a fun one. 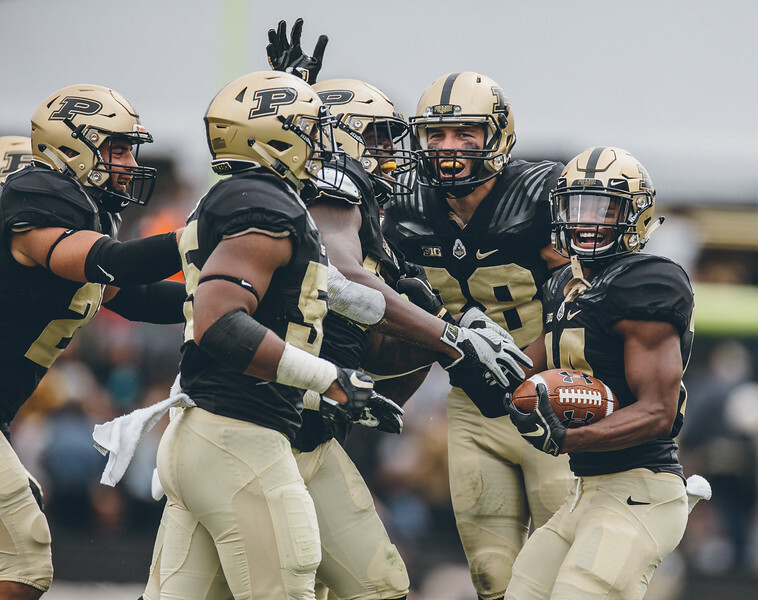 After three straight losses to start the season this Purdue team needed a little fun. Here the defense has a little fun on their way to the win. This was a fun moment from that game. 12. 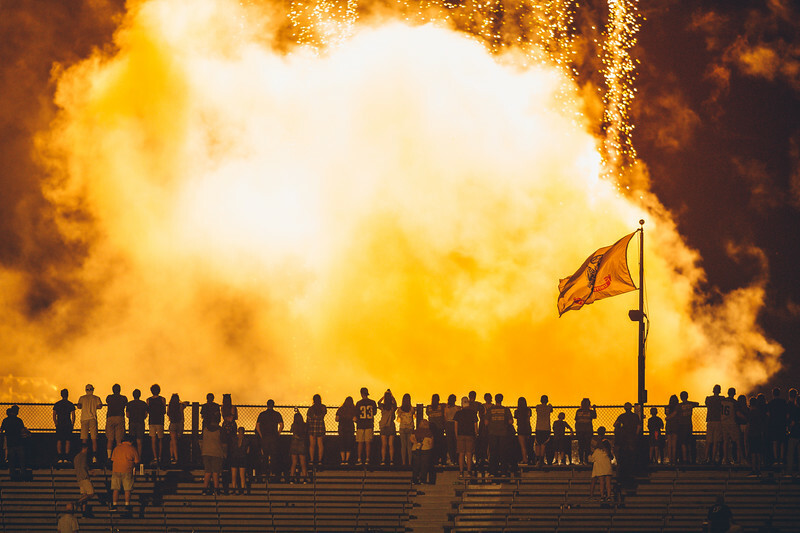 After the Missouri game I felt that I was failing in making any kind of a good firework photo. Nothing was working that I was trying. I had run up to my position from the field so I still had my 400mm lens with me. I decided to try this shot, and it was by far my favorite from the night. 11. Here is another shot from the Boston College game. That win started the season back in the right direction. Here two of our linemen celebrate after the clocks expired. 10. After the Ohio State game I was heading back to our workroom, but I was not ready to be done with pictures yet. I was still on cloud nine. 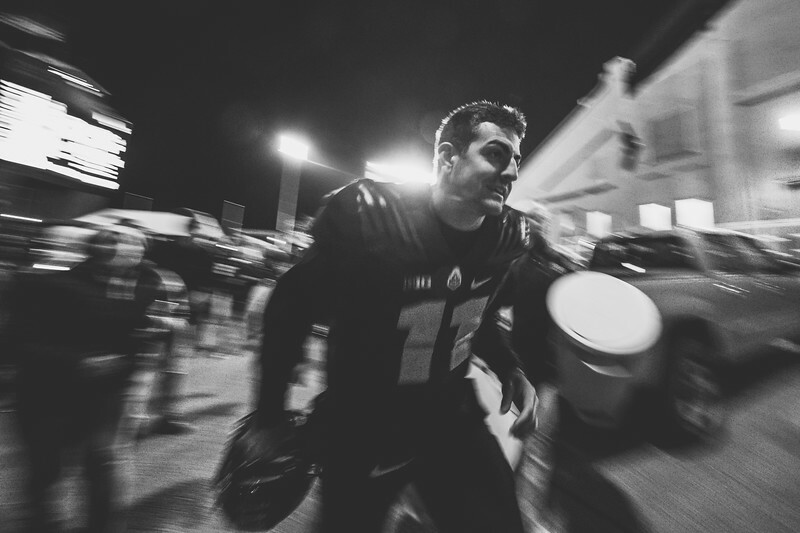 David Blough was headed to the locker room though so I made one last photo. I panned with him to get one of my favorite behind the scene shots of the year. 9. This was my first real successful photo of 2018. 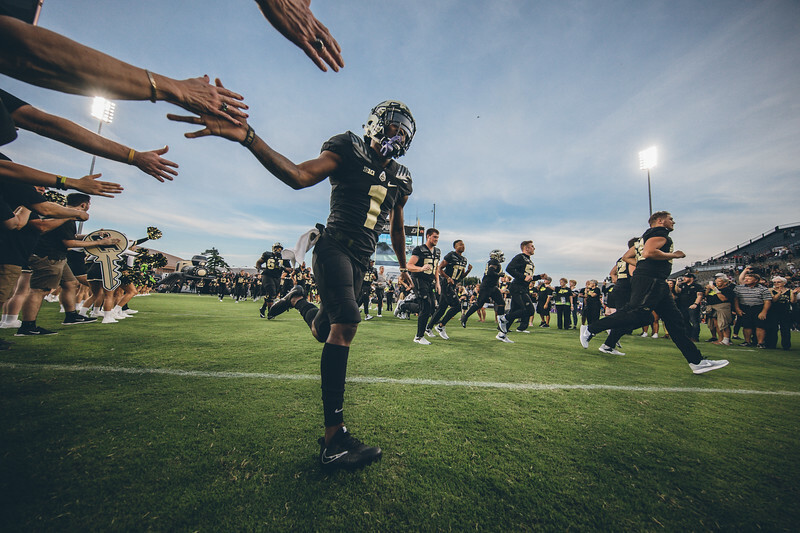 As Purdue took the field for the home opener I was down low with my 11-24mm lens. At one point during the runout I thought that my experiment had failed. I didn’t have anything. Then as the players were winding down I made this photo. 8. For every home game we were out two hours before the game making pregame images for social. This has to be my favorite of those images. The colors and the frozen rain really made for a cool image for me. 7. This image is here for many reasons. The first is how many times has the kicker been mobbed after games? 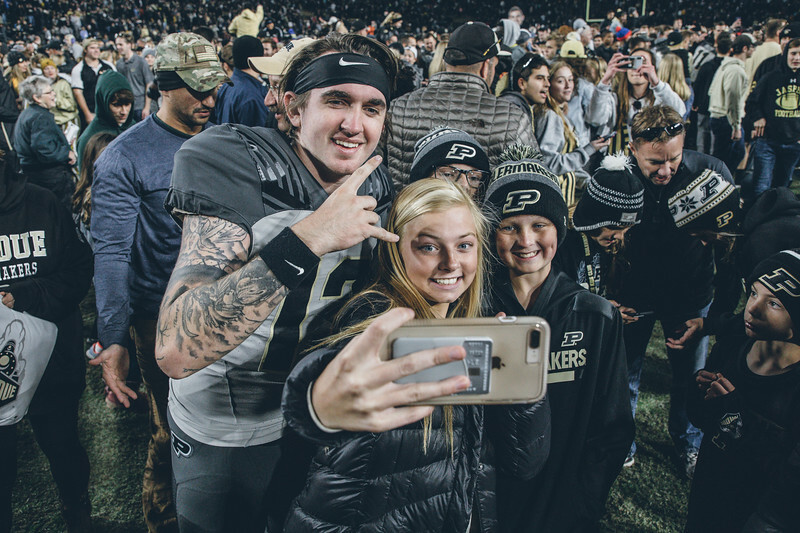 I love the love that the fans were giving Spencer Evans after his kick won the game against Iowa. The second reason is for what the photo means. Spencer was back on top after being down for a while earlier in the season. At one point I remember looking over and seeing him at the 50 looking as down as you could. A few weeks later, and he was back where he belongs. That success is why this photo made the countdown. 6. 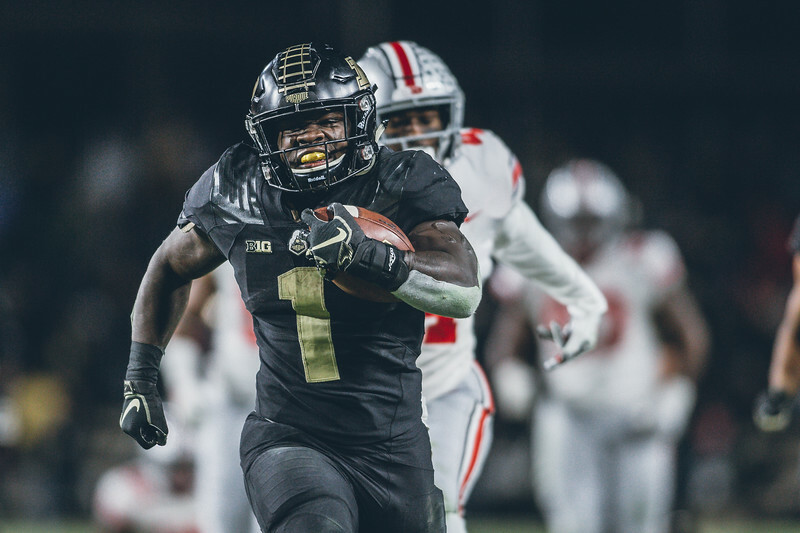 Here is Rondale Moore being Rondale Moore. 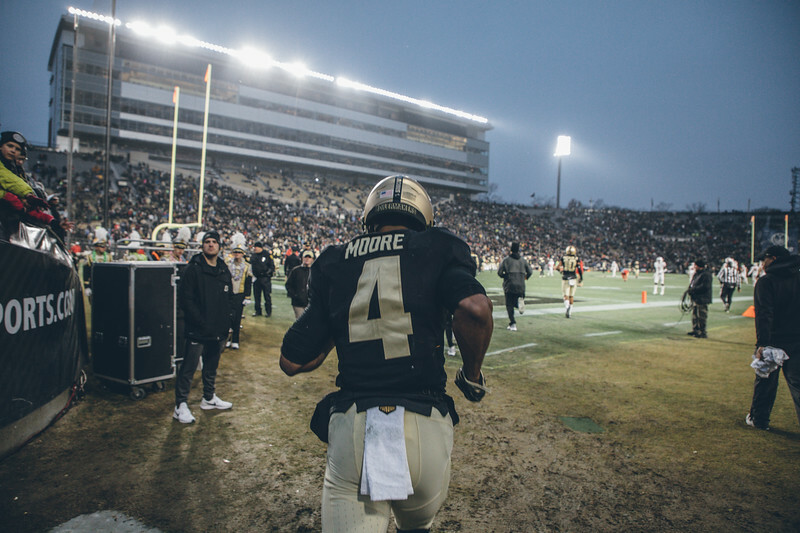 This was actually my introduction to Moore as he set a new Purdue record against Northwestern. He really can do great things, and this was one of my first pictures of those great things. 5. The West Lafayette football team plays their games just outside of my neighborhood. I try and get to as many Red Devil events as I can, but the schedule does not always allow for that. 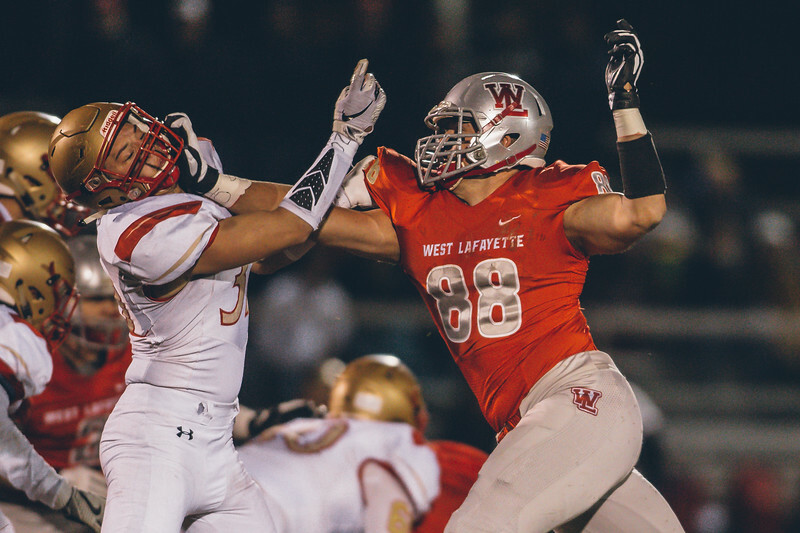 As they fought for the sectional championship I made this picture of senior George Karlaftis just giving it to the poor soul trying to block him. A bonus part to this image is that I will be able to photograph more of George as he is headed to Purdue next season. 4. 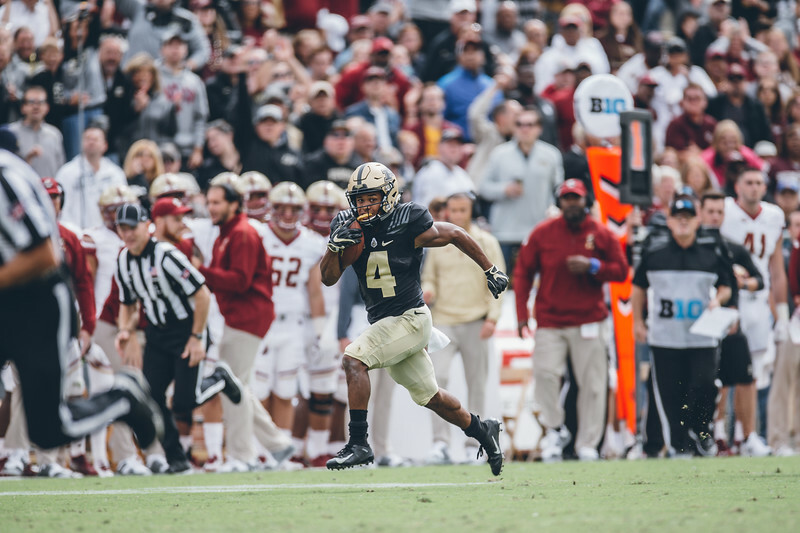 As the season moved on I knew that I wanted to make a special photo of Rondale Moore. As I was headed back to the field during after halftime of the Wisconsin game I got my chance. 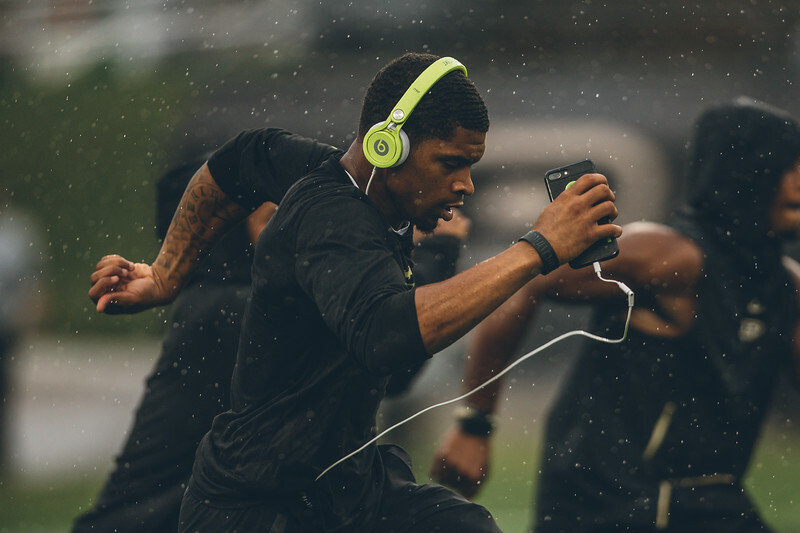 I somehow kept up with Moore as he rain onto the field, and I made this photo. I just like the idea of him running into the spotlight. I feel that it is a good representation of what he did this season. 3. During the game at Indiana there were a few moments that decided the outcome. The one that sticks out to me though was Markell Jones with a run that should have ended down the field, but he wouldn’t let it. He dragged defenders into the end zone for a touchdown. This was my favorite shot of that run. 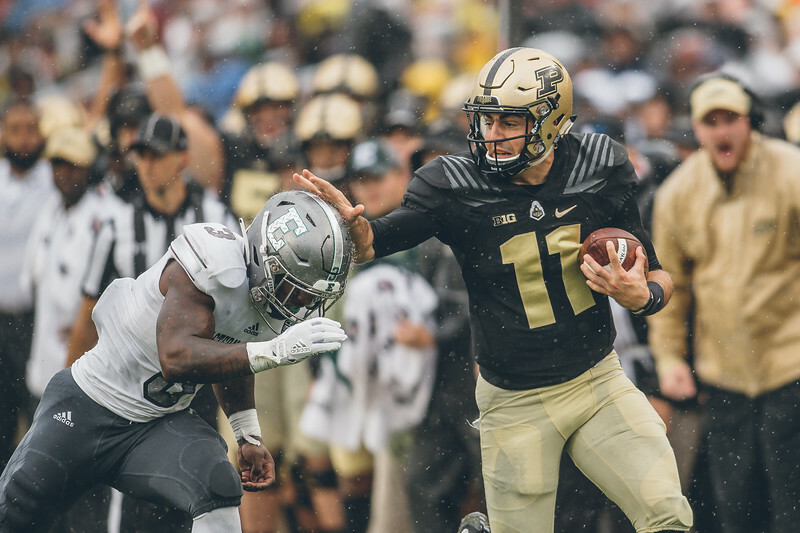 His leg drive gave the Boilers the Old Oaken Bucket for another year. 2. This shot and the Markell shot are my two favorite action shots of the season. I think this one gets the nod though because of the conditions. A stiff arm shot is cool, but when you can see the force of the stiff arm because of the rain on the helmet that makes it a much cooler shot. As I look back at this countdown I see that only six of the eighteen shots are action shots. In the old days this would have all been action shots. I love action as much as the next guy, but sometimes the story takes you away from the action. The Ohio State game was obviously the highlight of the year. This post is set to go out at 10:20 as a nod to that day. This was my favorite photo from that game. It happened well after the game was over. I was in and out of this sea of people many times, and this was the last of those times. When I saw Pete go up on some of the fans shoulders I knew that I needed to get into the mix and get the shot. With my 11-24mm lens I needed to get close, and luckily I was able to do so. This is my favorite shot from the season. There are my favorite shots from this football season. Every year I try and top what I did the year before. That is the key to becoming better at what you do. I think that I did incrementally better than I did last year. Next year I need to take some more chances to really do something special. Looking back on this past season though I know that I had more fun than I have in a long time. I was good being back home again.